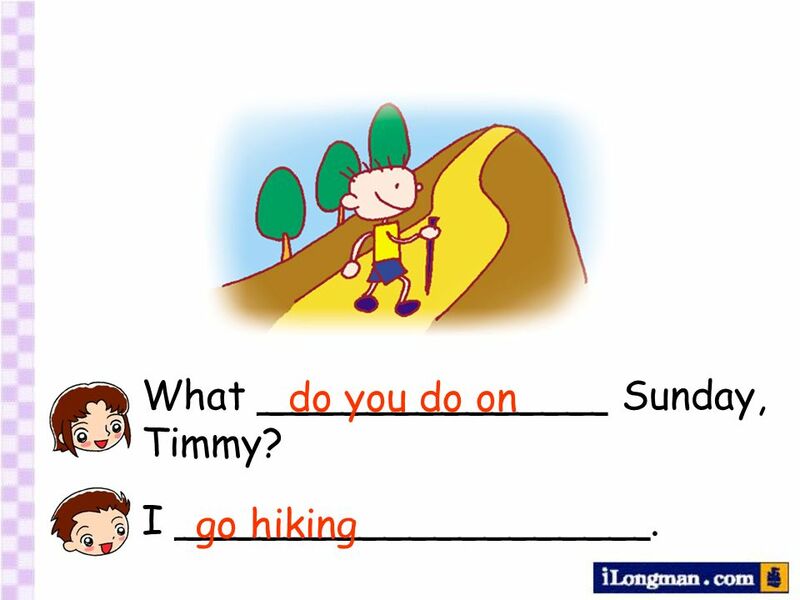 Activities we like Chapter 6, Book 2B Longman Welcome to English. 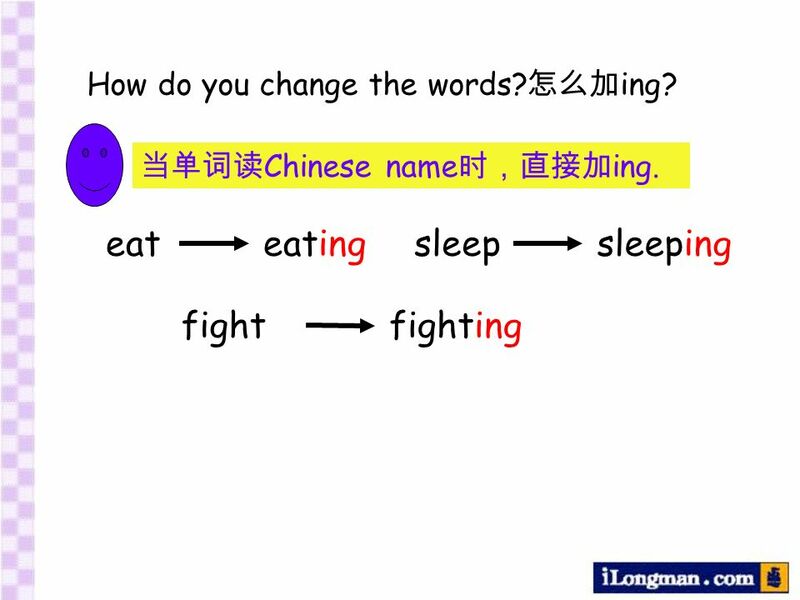 9 What do you do on…? 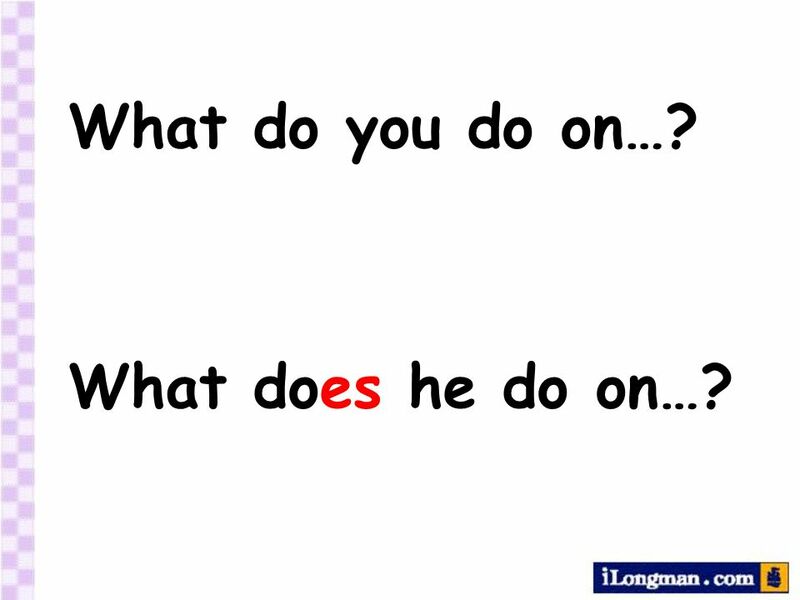 What does he do on…? 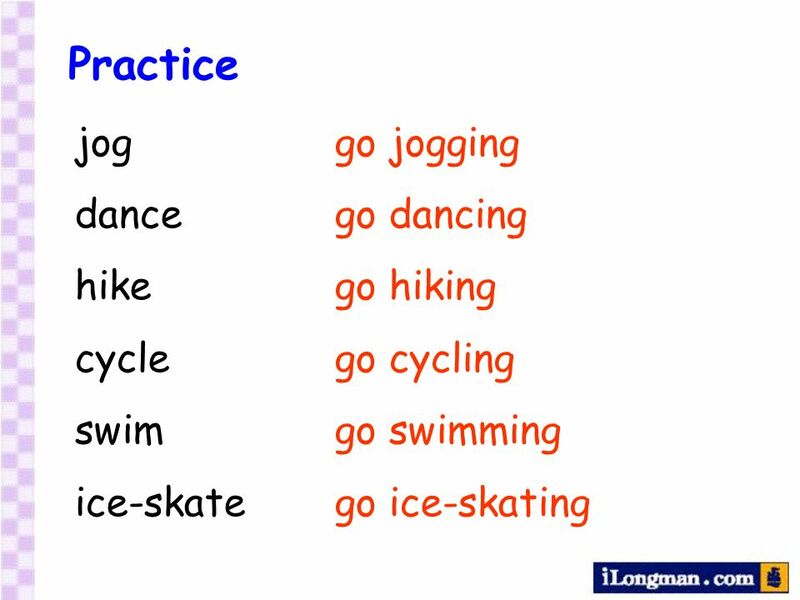 10 Tuesday She goes jogging. 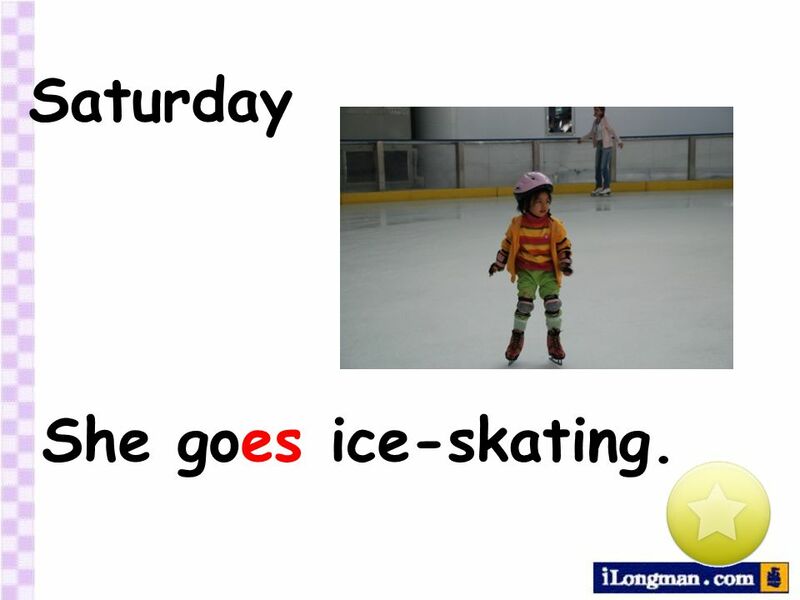 11 Saturday She goes ice-skating. 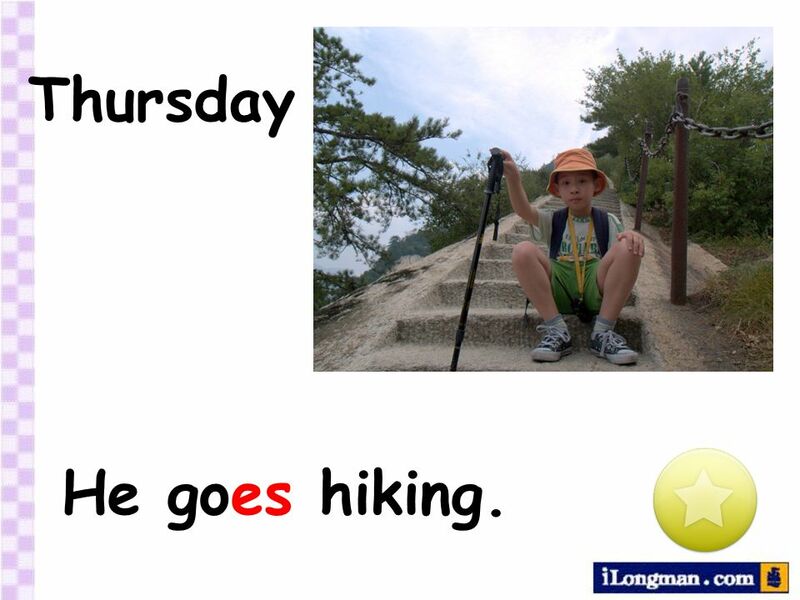 12 Thursday He goes hiking. 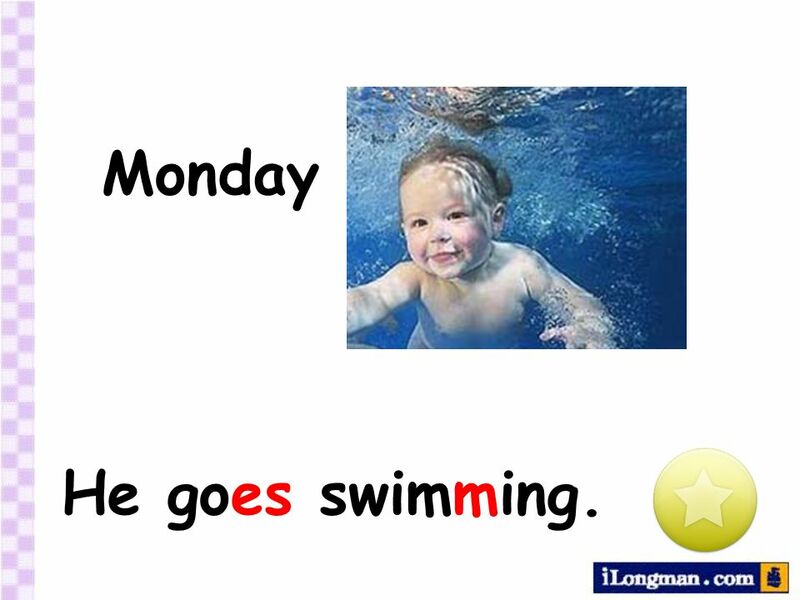 13 Monday He goes swimming. 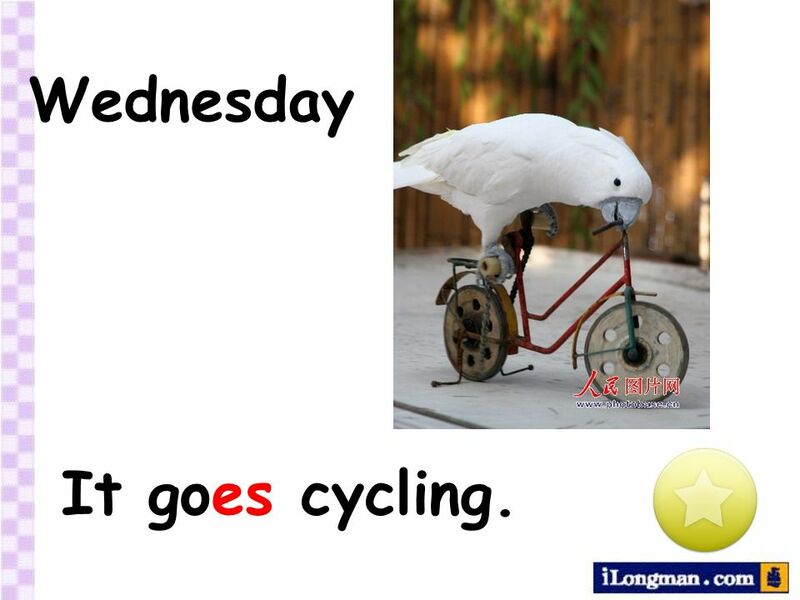 14 Wednesday It goes cycling. 15 Monday She goes dancing. 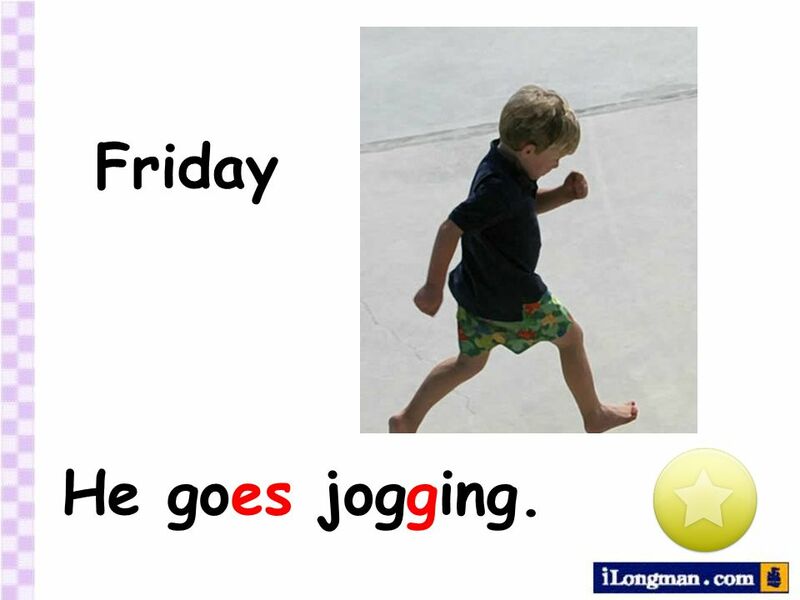 16 Friday He goes jogging. 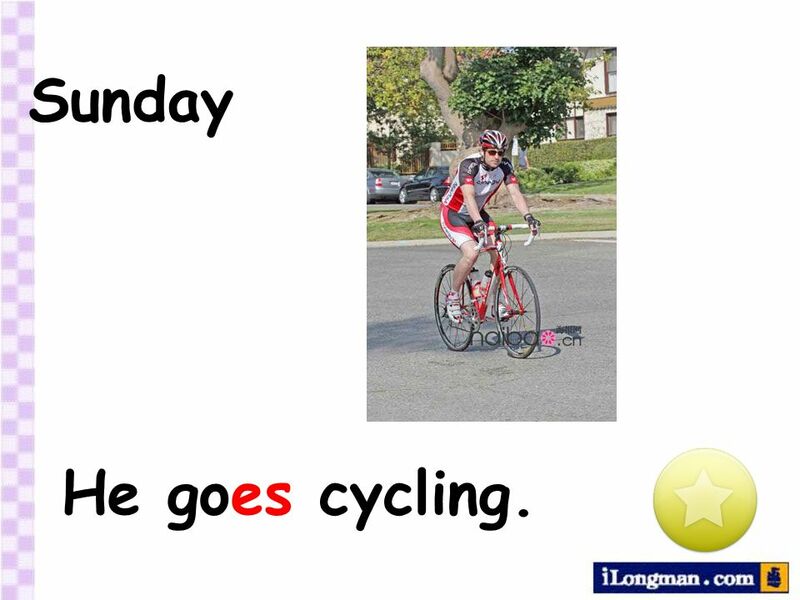 17 Sunday He goes cycling. 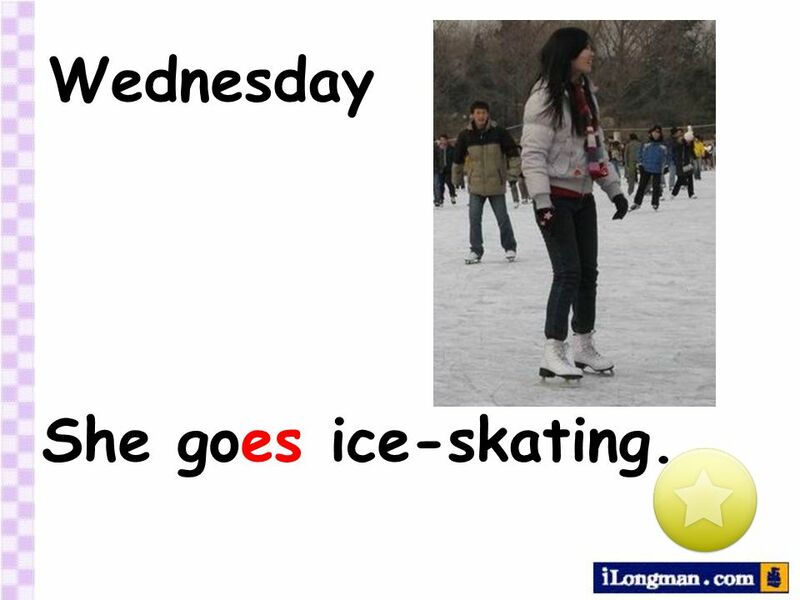 18 Wednesday She goes ice-skating. 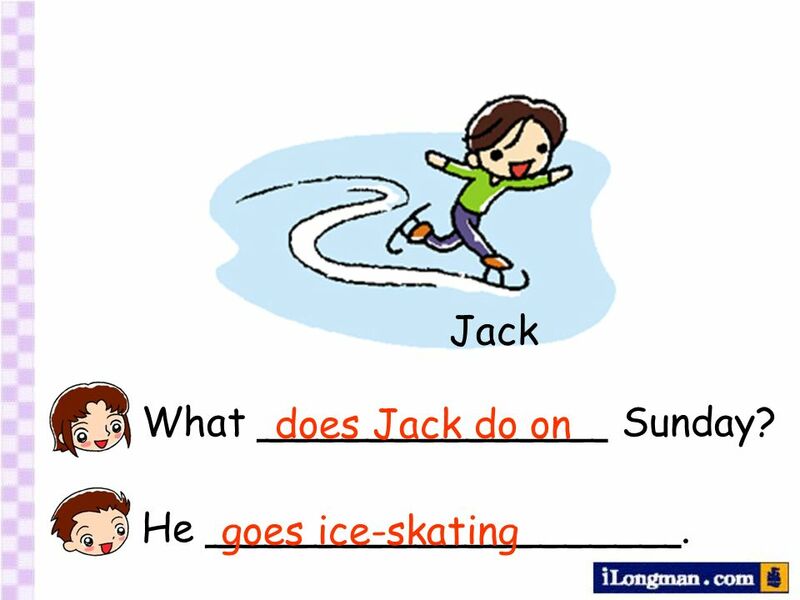 Download ppt "Activities we like Chapter 6, Book 2B Longman Welcome to English." 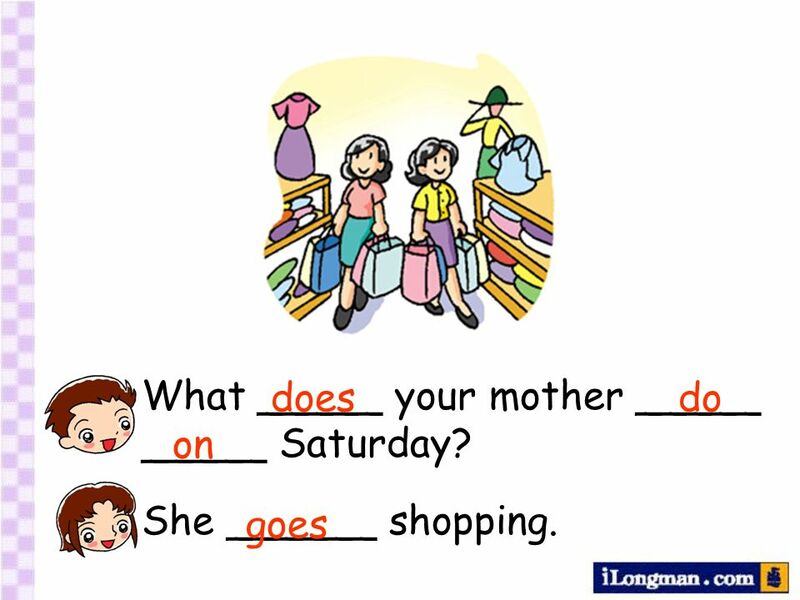 Unit6 Doing housework Teacher:Miss Chen. Morning It s time to. 6:00 get up Whats the time? Unit 4 A good friend share things with me help me play with me talk to me play tricks on melend me things Phrases. What can you do? By Sarah Hung. I can swim. What can you do? 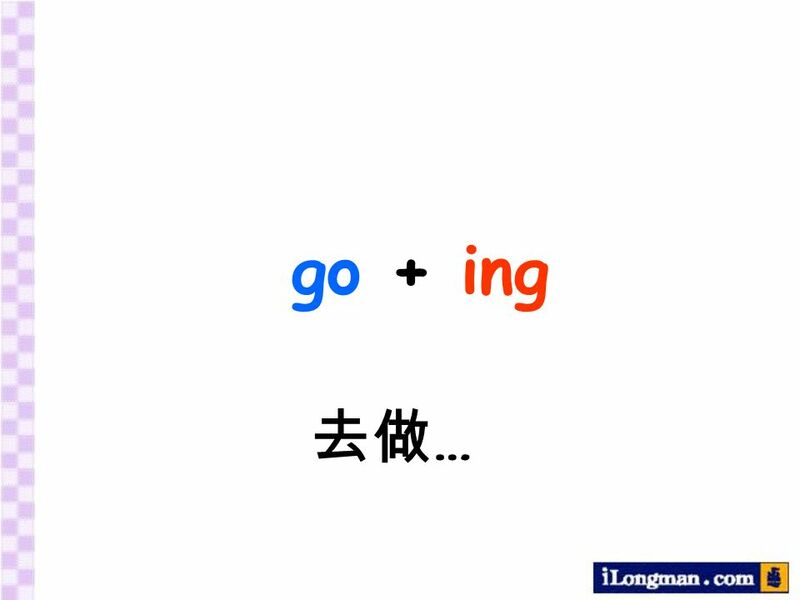 Are you going to visit London? 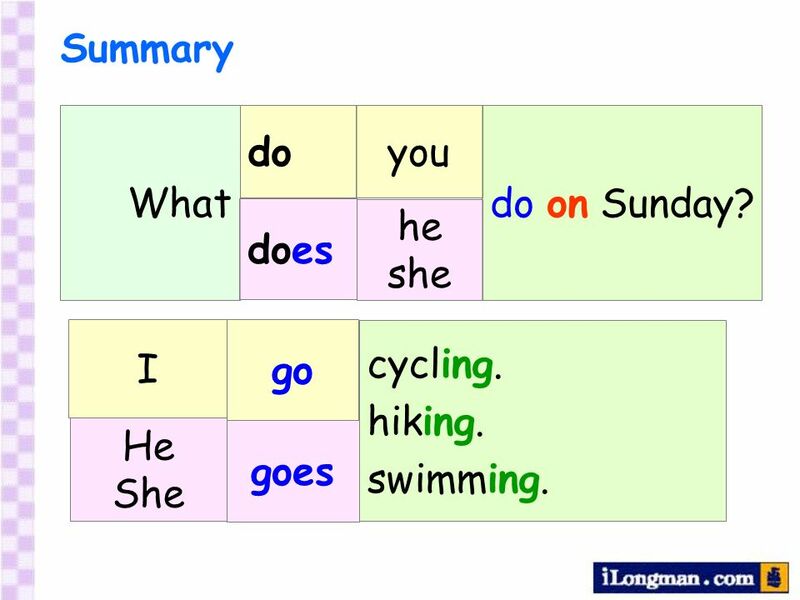 100 most common verbs In English Press the word to hear it! 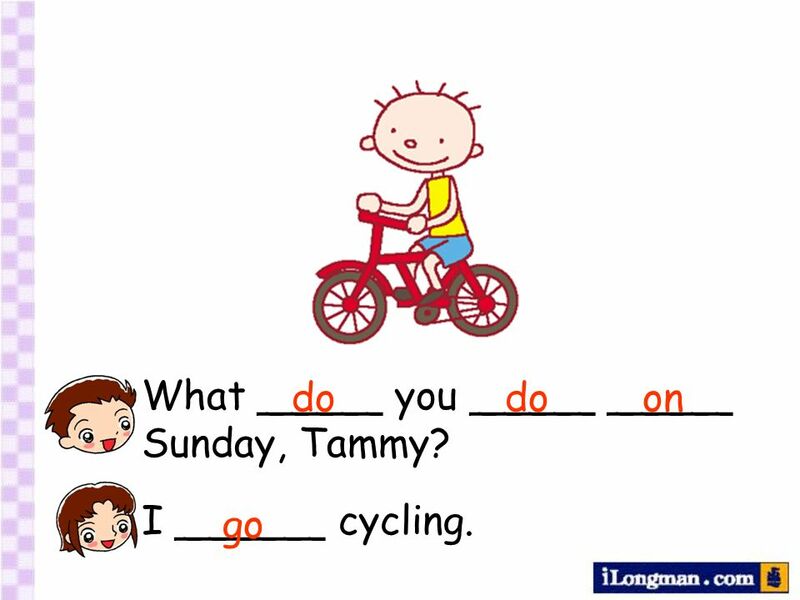 My week Every week has seven days Which I spend in different ways: On Monday I ride a bike, On Tuesday I take a hike, On Wednesday I draw or write, On.